When I first set out to make buffalo wings back in the day, I felt that the best place to search for a recipe was in Buffalo, New York. It seemed a no-brainer. I found a great recipe from the Anchor Bar in Buffalo and sort of adjusted the recipe to my taste and found small ways to make the wings healthier. 1 cup oat flour (Oat flour is gluten free. Feel free to use all-purpose flour). 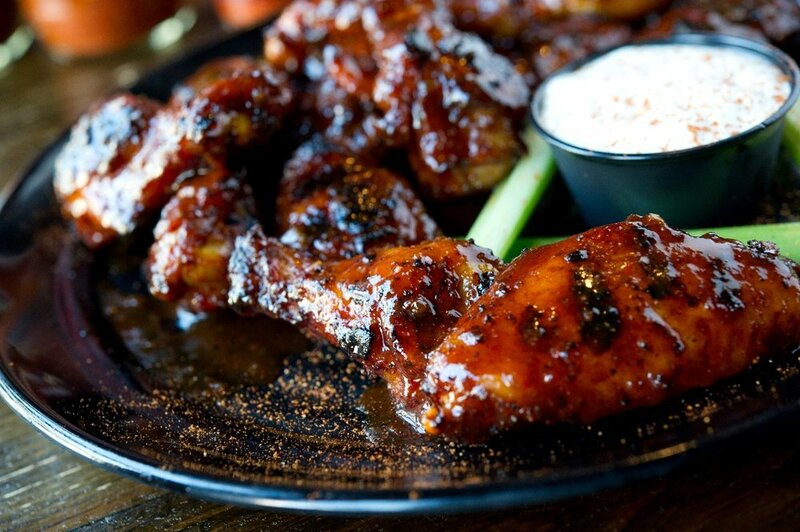 For extra crispy wings, you can par-boil them for 5 minutes to render some of the fat out of them. They'll be crispier and leaner! ‍Preheat oven to 425 degrees Fahrenheit. In a bowl toss the wings with 1 tablespoon of the vegetable oil and salt. Place into a large Ziploc bag, add the flour, and seal. Shake well to coat the chicken evenly. Remove wings from the bag, shaking off any excess flour, and spread the wings out evenly on oiled foil-lined baking pan(s). There should only be one layer of wings (don’t stack)! Bake for about 20 minutes, turn the wings over, and cook another 20 minutes, or until the wings are cooked through and are browned. While the wings are baking, mix all the ingredients for the sauce in a pan. Place the pan over low heat, bring to a simmer and stir occasionally. Remove from heat. After the wings are cooked, transfer them into a large mixing bowl. Pour the sauce over the hot wings and toss to coat completely.